There are three events happening, three events that made the limelight. Only two seem to have a clear connection, yet that is not true, they all link, although not in the way you might think. The Guardian (at https://www.theguardian.com/business/2018/jun/20/telstra-to-cut-8000-jobs-in-major-restructure) starts with ‘Telstra to cut 8,000 jobs in major restructure‘. Larger players will restructure in one way or another at some point, and it seems that Telstra is going through the same phase my old company went through 20 years ago. The reason is simple and even as it is not stated as such, it boils down to a simple ‘too many captains on one ship‘. So cut the chaff and go on. It also means that Telstra would be able to hire a much stronger customer service and customer support division. Basically, it can cut the overhead and they can proclaim that they worked on the ‘costing’ side of the corporation. It is one way to think. Yet when we see: “It plans to split its infrastructure assets into a new wholly owned business unit in preparation for a potential demerger, or the entry of a strategic investor, in a post-national broadband network rollout world. The new business unit will be called InfraCo“. That is not a reorganisation that is pushing the bad debts and bad mortgages out of the corporation and let it (optionally) collapse. The congestion of the NBN alone warrants such a move, but in reality, the entire NBN mess was delayed for half a decade, whilst relying on technology from the previous generation. With 5G coming closer and closer Telstra needs to make moves and set new goals, it cannot do that without a much better customer service and a decently sized customer support division, from there on the consultants will be highly needed, so the new hiring spree will come at some stage. The ARNnet quote from last month: “Shares of Australia’s largest telco operator Telstra (ASX:TLS) tumbled to their lowest in nearly seven years on 22 May, after the firm was hit by a second major mobile network service outage in the space of a month“, does not come close to the havoc they face, it is not often where one party pisses off the shareholders, the stakeholders and the advertisers in one go, but Telstra pulled it off! A mere software fault was blamed. This implies that the testing and Q&A stage has issues too, if there is going to be a Telstra 5G, that is not a message you want to broadcast. The problem is that even as some say that Telstra is beginning to roll out 5G now, we am afraid that those people are about to be less happy soon thereafter. You see, Telstra did this before with 4G, which was basically 3.5G, now we see the Business Insider give us ‘Telstra will roll out 2Gbps speeds across Australian CBDs within months‘, but 2Gbps and 10Gbps are not the same, one is merely 20%, so there! Oh, and in case you forgot the previous part. It was news in 2011 when ABC gave us (at http://www.abc.net.au/technology/articles/2011/09/28/3327530.htm) “It’s worth pointing out that that what Telstra is calling 4G isn’t 4G at all. What Telstra has deployed is 1800MHz LTE or 3GPP LTE that at a specification level should cap out at a download speed of 100Mb/s and upload speed of 50Mbps [ed: and the public wonders why we can’t just call it 4G?]. Telstra’s sensibly not even claiming those figures, but a properly-certified solution that can actually lay claim to a 4G label should be capable of downloads at 1 gigabit per second; that’s the official 4G variant known as LTE-A. Telstra’s equipment should be upgradeable to LTE-A at a later date, but for now what it’s actually selling under a ‘4G’ label is more like 3.7-3.8G. “3.7ish G” doesn’t sound anywhere near as impressive on an advertising billboard, though, so Telstra 4G it is“, which reflects the words of Jeremy Irons in Margin Call when he states: “You can be the best, you can be first or you can cheat“. I personally think that Telstra is basically doing what they did as reported in 2011 and they will market it as ‘5G’, giving premise to two of the elements that Jeremy Irons mentioned. This now gives a different visibility to the SMH article last week (at https://www.smh.com.au/business/companies/how-a-huawei-5g-ban-is-about-more-than-espionage-20180614-p4zlhf.html), where we see “The expected ban of controversial Chinese equipment maker Huawei from 5G mobile networks in Australia on fears of espionage reads like a plot point from a John le Carre novel. But the decision will have an impact on Australia’s $40 billion a year telecoms market – potentially hurting Telstra’s rivals“, as well as “The Sydney Morning Herald and The Age reported in March that there were serious concerns within the Turnbull government about Huawei’s potential role in 5G – a new wireless standard that could be up to 10 times as powerful as existing mobile services, and used to power internet connections for a range of consumer devices beyond phones“, you see I do not read it like that. From my point of view I see “There are fears within the inner circle of Telstra friends that Huawei who is expected to offer actual 5G capability will hurt Telstra as they are not ready to offer anything near those capabilities. The interconnectivity that 5G offers cannot be done in the currently upgradable Telstra setting of a mere 2bps, which is 20% of what is required. Leaving the Telstra customers outside of the full range of options in the IoT in the near future, which will cost them loads of bonus and income opportunities“. This gives two parts, apart from Optus getting a much larger slice of the cake, the setting is not merely that the consumers and 5G oriented business is missing out, private firms can only move forward to the speed that Telstra dictates. So who elected Telstra as techno rulers? As for the entire Huawei being “accused of spying by lawmakers in the US“, is still unfounded as up to now no actual evidence has been provided by anyone, whilst at the same speed only a week ago, the Guardian gave us ‘Apple to close iPhone security gap police use to collect evidence‘, giving a clear notion that in the US, the police and FBI were in a stage where they were “allowed to obtain personal information from locked iPhones without a password, a change that will thwart law enforcement agencies that have been exploiting the vulnerability to collect evidence in criminal investigations“, which basically states that the US were spying on US citizens and people with an iPhone all along (or at least for the longest of times). It is a smudgy setting of the pot calling the kettle a tea muffler. The fact that we are faced with this and we prefer to be spied on through a phone 50% cheaper is not the worst idea. In the end, data will be collected, it is merely adhering to the US fears that there is a stronger setting that all the collected data is no longer in the US, but in places where the US no longer has access. That seems to be the setting we are confronted with and it has always been the setting of Malcolm Turnbull to cater to the Americans as much as possible, yet in this case, how exactly does Australia profit? I am not talking about the 37 high and mighty Telstra ‘friends’. I am talking about the 24,132,557 other Australians on this Island, what about their needs? If only to allow them than to merely get by on paying bills and buying food. This gets us to something only thinly related, when we see the US situation in ‘Nato chief warns over future of transatlantic relationship‘. The news (at https://www.theguardian.com/world/2018/jun/19/transatlantic-relationship-at-risk-says-nato-chief) has actually two sides, the US side and the side of NATO. NATO is worried on being able to function at all. It is levied up to the forehead in debts and if they come to fruition, and it will they all drown and that requires the 27 block nation to drastically reduce defence spending. It is already trying to tailor a European defence force which is a logistical nightmare 6 ways from Sunday and that is before many realise that the communication standards tend to be a taste of ‘very nationally’ standard and not much beyond that point. In that regard the US was clever with some of their ITT solutions in 1978-1983. Their corn flaky phones (a Kellogg joke) worked quite well and they lasted a decent amount of time. In Europe, most nations were bound to the local provider act and as such there were all kinds of issues and they all had their own little issues. So even as we read: “Since the alliance was created almost 70 years ago, the people of Europe and North America have enjoyed an unprecedented period of peace and prosperity. But, at the political level, the ties which bind us are under strain“, yup that sounds nice, but the alliances are under strain by how Wall Street thinks the funding needs to go and Defence is not their first priority, greed is in charge, plain and simple. Now, to be fair, on the US side, their long term commitment to defence spending has been over the top and the decade following September 11 2001 did not help. The spending went from 10% of GDP up to almost 20% of GDP between 2001 and 2010. It is currently at about 12%, yet this number is dangerous as the economy collapsed in 2008, so it basically went from $60 billion to $150 billion, which hampered the infrastructure to no end. In addition we get the splashing towards intelligence consultants (former employees, who got 350% more when they turned private), so that expenditure became also an issue, after that we see a whole range of data gathering solutions from the verbose (and not too user friendly) MIIDS/IDB. you see, some saw the “‘Commie cadet’ who wore Che Guevara T-shirt kicked out of US army” as an issue instead of an opportunity. The article (at https://www.theguardian.com/us-news/2018/jun/19/west-point-commie-cadet-us-army-socialist-views-red-flags) gives light to some sides, but not to the option that the US basically threw out of the window. You see the Bill of rights, a mere piece of parchment that got doodled in 1789 offering things like ‘freedom to join a political party‘, as we see the setting at present. The issue as I see it is the overwhelming hatred of Russia that is in play. Instead of sacking the man, the US had an opportunity to use him to see if a dialogue with Cuba could grow into something stronger and better over time. It might work, it might not, but at least there is one person who had the option to be the messenger between Cuba and the US and that went out of the window in a heartbeat. So when we see: “Spenser Rapone said an investigation found he went online to advocate for a socialist revolution and disparage high-ranking officers and US officials. The army said in a statement only that it conducted a full investigation and “appropriate action was taken”“. Was there a full investigation? To set this in a proper light, we need to look at NBC (at https://www.nbcnews.com/news/us-news/sexual-assault-reports-u-s-military-reach-record-high-pentagon-n753566), where we see: “Service members reported 6,172 cases of sexual assault in 2016 compared to 6,082 last year, an annual military report showed. This was a sharp jump from 2012 when 3,604 cases were reported“, we all should realise that the US defence forces have issues, a few a hell of a lot bigger than a person with a Che Guevara T-Shirt. So when we ask for the full investigations reports of 6172 cases, how many have been really investigated, or prosecuted on? NBC reported that “58 percent of victims experienced reprisals or retaliation for reporting sexual assault“, so how exactly were issues resolved? Here we see the three events come together. There is a flawed mindset at work, it is flawed through what some might call deceptive conduct. We seem to labels and when it backfires we tend to see messages like ‘there were miscommunications hampering the issues at hand‘, standards that cannot be agreed on, or after there was an agreement the individual players decide to upgrade their national documents and hinder progress. How is that ever going to resolve issues? In all this greed and political needs seem to hinder other avenues though players that should not even be allowed to have a choice in the matter. It is the setting where for close to decades the politicians have painted themselves into a corner and are no longer able to function until a complete overhaul is made and that is the problem, a solution like that costs a serious amount of funds, funds that are not available, not in the US and not in Europe. The defence spending that cannot happen, the technology that is not what is specified and marketing will merely label it into something that it is not, because it is easier to sell that way. A failing on more than one level and by the time we are all up to speed, the others (read: Huawei) passed us by because they remained on the ball towards the required goal. So as we are treated to: “A parliamentary hearing in Sydney got an extra touch of spice yesterday, after the chief executive of NBN Co appeared to finger one group of users supposedly responsible for congestion on NBN’s fixed wireless network: gamers“, whilst the direct setting given is “Online gaming requires hardly any bandwidth ~10+ megabytes per hour. A 720p video file requires ~ 500+ megabytes per hour. One user watching a YouTube video occupies the same bandwidth as ~50 video gamers“, we can argue who is correct, yet we forgot about option 3. As was stated last week we see that the largest two users of online games were Counterstrike (250MB/hour) add Destiny 2 (300 MB/hour), whilst the smallest TV watcher ABC iView used the same as Destiny 2, the rest a multitude of that, with Netflix 4K using up to 1000% of what gamers used (in addition to the fact that there are now well over 7.5 million Netflix users, whilst the usage implies that to be on par, we need 75 million gamers, three times the Australian population). Perhaps it is not the gamers, but a system that was badly designed from the start. Political interference in technology has been a detrimental setting in the US, Europe and Australia as well, the fact that politicians decide on ‘what is safe‘ is a larger issue when you put the issues next to one another. If we openly demand that the US reveal the security danger that Huawei is according to them, will they remain silent and let a ‘prominent friend‘ of Telstra speak? When we look one tier deeper into NATO, they themselves become the source (at https://www.nato-pa.int/document/2018-defence-innovation-capitalising-natos-science-and-technology-base-draft-report) with: ‘Capitalising on Nato’s Science and Technology Base‘. Here we see on page 5: “In an Alliance of sovereign states, the primary responsibility to maintain a robust defence S&T base and to discover, develop and adopt cutting-edge defence technologies lies with NATO member states themselves. Part of the answer lies in sufficient defence S&T and R&D budgets“. It is the part where we see: ‘adopt cutting-edge defence technologies lies with NATO member states themselves‘ as well as ‘sufficient defence S&T and R&D budgets‘. You introduce me to a person that shows a clear partnership between the needs of Philips (Netherlands) and Siemens (Germany) and I will introduce you to a person who is knowingly miscommunicating the hell out of the issue. You only need to see the 2016 financial assessment: “After divesting most of its former businesses, Philips today has a unique portfolio around healthy lifestyle and hospital solutions. Unlike competitors like GE Healthcare and Siemens Healthineers, the company covers the entire health continuum” and that is merely one field. 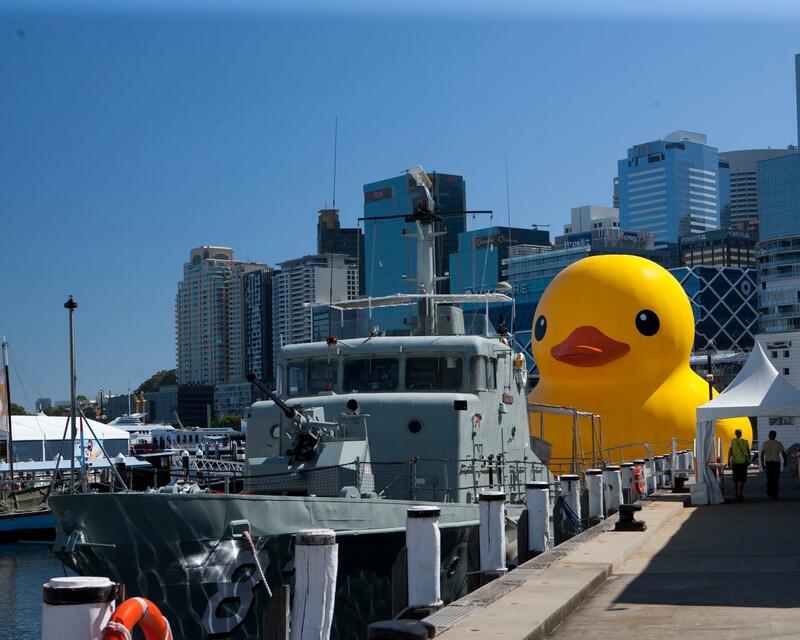 Rubber Duck closing in on small Destroyer. In that consider a military equivalent. The 5th best registered CIWS solution called MK15 Phalanx (US), the 3rd position is for the Dutch Goalkeeper (Thales Netherlands) and the 2nd best CIWS solution comes from the US with the Raytheon SeaRAM. Now we would expect every nationality would have its own solution, yet we see the SeaRAM was only adopted by Germany, why is it not found in the French, Italian, Spanish and Canadian navy? Belgium has the valid excuse that the system is too large for their RIB and Dinghy fleet, but they are alone there. If there is to be true connectivity and shared values, why is this not a much better and better set partnership? Now, I get that the Dutch are a proud of their solution, yet in that entire top list of CIWS systems, a larger group of NATO members have nothing to that degree at all. So is capitalising in the title of the NATO paper actually set to ‘gain advantage from‘, or is it ‘provide (someone) with capital‘? Both are options and the outcome as well as the viability of the situation depending on which path you take. So are the Australians losing advantage from Telstra over Huawei, or are some people gaining huge lifestyle upgrades as Huawei is directed to no longer be an option? I will let you decide, but the settings are pushing all boundaries and overall the people tend to not benefit, unless you work for the right part of Palantir inc, at which point your income could double between now and 2021. You would think it is all the same, right? The last two are the same brand. I will get back to the list, but for now, what you would like to do is to check where you can get a 64GB edition, and for some that list is zero, you see, in Australian (not the only place) they are making sure that you cannot get the 64GB edition, in an age of consumerism, is that not weird? In that regard, Apple is the only one offering this, because of different reasons. In all this, I have used my phone with a philosophy. It is a simple one and in my life of budgets an essential one. In the past, I learned the hard way early in life that chasing technology is a race that costs money and never leaves you with a true advantage, the gaming industry in the 90’s on PC were all about that. The mobile industry, like the PC industry learned this from the arms industry and they were really good students. So no matter what competitiveness they have, if they agree on a few ground rules, there will be enough space for exploitation for all of them. Now, in 2015, Huawei decided to rock the boat and as such they got a larger share than ever before, now that they are on par, they seem to go with the average lot of them. My hopes are that LG tries a same approach, which will cost Huawei et al dearly this year. When you have been around your mobile for a little while, you will see that storage is (nearly) everything on a mobile and with marshmallow, a 32GB system will end up having about 22GB space left. There is the Android system and the mandatory apps, the amount leaves you with 10GB less. This is not a big deal you think, but over the year we will see an exponential growth of apps and they cost space too. Some people already learned this lesson with Pokémon Go and all the pics that were taken. They were realising how much space was lost. Now, we know that you can add a SD card and store pictures there, but apps must be run from the main storage and those apps are growing too. So over 2 years you would have run out of space. Meaning that you either clean up your system, or buy a mobile with more space. This you might have learned if you had an iPad or iPod. Storage was running low for some a lot faster than they bargained for. So in this age, when the difference between 32GB and 64GB is one component which is in total a mere $32.87 more expensive, why would we even consider a 32GB system? Because at this point, the mobile warranty of 24 months could be served completely and we would not need another phone one year later! In addition, after 2 years we would have the freedom to choose a better and cheaper provider, so as I see it, neither Optus nor Telstra wants a 64GB phone in their arsenal and the only reason is that the iPhone is that size is because Apple has in general a global approach to their hardware. Unless LG takes advantage of the option they have now, none of them offers the 64GB version in Australia! Is that not weird? Amazon UK offers both, and at times the 64GB is definitely more expensive, yet consider that at $100 more (for some a little more), you have peace of mind that this phone can last you 2 years without storage issues. That seems a pretty big deal to me. In addition, unless Android past Nougat (V7) grows a massive part, the user will have plenty of space to update their system, if the update would be offered. In addition, with all the other stuff we carry (photo’s music and so on), twice the size is pretty much the only way to go. So why the mobile providers refuse their product to be on sale is just beyond me and the fact that none of them are offering a product in a place seems to be massively out of bounds. With Huawei the fact that there is a single slot and duo slot 32GB option makes even less sense to me. In my mind, this is all about control of the users, and controlling where the users go, which is a limitation on freedom devices have never offered before, so in my mind it was not with the consumers consent. The fact that Samuel Gibbs did not mention that part in their article is not as quoted “Fewer purchases mean the big smartphone players are now under pressure to extract more revenue from their existing user base, which is easier for Apple and its App Store than others reliant on Google’s Play Store, and to try to convince users that life is greener on their side of the smartphone divide“, it is to make sure that continuity prevails, to some extent for the smartphone makers, to the larger extent to mobile providers to keep them in their not seeking another providers place! In addition the quote “At the same time, the mobile phone operators are in a similar competition. Switching between the major phone networks has always been an issue, whether it’s over price, customer service or the latest handset“, more important it is over bandwidth and facilitation, the more limits the hardware has, the less issues of competition the provider needs to deal with. So is Samuel Gibbs informing you on some ‘secret war’ or is he trying to keep your sight away from the options that matter? The fact that phone limitations is not part of his view (which could be because the UK offers both models) is equally disturbing that he did not look at this from a global point of view, when you are not made aware of what is by me expected and therefore implied is the limitation of hardware offered is as I see it, part of a secret war that they require you not to be aware of. If that is done intentionally, what do you think is in play? So as the Samsung Note 7 is now an ISIS tool (when you install the 10 second countdown app) and only LG remains to go public with their new model, they now have an option to capture a much larger share of the audience as several of the participating parties refused to consider the consumers’ needs and seems to cater to the telecom request of limitation. LG has an option to grow much stronger in this market than ever before. Apple as IOS has a different situation and as seen on many fronts they have created their own walls of disturbance, so LG could even go after that lot, but we must respect that there is a huge offset between IOS and Android and as such, people are at times less willing to switch there. For now the latest rumours are that the V20 will start the pre-orders this Sunday in the US and European markets will be getting them, yet there is at present no confirmation for both the UK and Australia. So we will have to see about that part too. The article had more. So consider my words and now see this quote: “Bibby says: “Imitation is the sincerest form of flattery. Flexibility like this is just the next stage of innovation so we’re not surprised to see others adopting it. Manufacturers are trying to ensure that more of their own handsets are sold in the market. They’re trying to clearly compete with each other.”” I disagree with Nina Bibby, marketing and consumer director for O2. The quote is not untrue, but incorrect. It is the presentation of what they want the issue to be, because is sets our mind at rest. I believe that the more correct quote is “They’re trying to clearly compete with each other within the agreed limits of the presented options“, which is not entirely the same! In that same view, the limitations due to the telecom agreements are equally in question. The fact that none offered the complete spectrum is just as much of a worry. Because it is like a corporation trying to make sure that its employees can never truly become independent, because that would be too dangerous for their own continuation. The second part in all this is the entire upgrade service program. It creates brand dependency, which is not essentially a bad thing, but guess what! I reckon that soon thereafter the 64GB option will come and there will be a churn for 12 and 24 months. At that point, the telecom providers would want a phone to last as long as possible. It could be in different ways. For example after 12 months 65% off and a $1 upgrade after 24 months. This is just speculation, so this is not a given, yet overall not that far-fetched. The most interesting quote is at the end “For now, the battle for control of the phone in your hand is happening behind closed doors. Soon we’ll begin to see the phone-as-a-service idea pushed by one of the big manufacturers, but only once the operators are no longer crucial to sales“. The first part is that not all of the closed doors is about the phone, bandwidth has been a forever war between iiNet, Optus and Telstra in Australia, and the phone-as-a-service is not all in the hands of the manufacturers, that will come soon enough (in one case it already is) in hands of the Telecom companies, because that is a direct factor for customer loyalty, who does not see the $45 a month phone as the margin, it is the $90 a month subscription where their margin is and that part can be set to non-taxation a lot faster too. The phone is merely a hardware write-off, increasing their ROI. So when you consider your new phone do not be fooled by the SD slot, wonder why the full version is out nearly everywhere else, except Australia? For Australians, consider one nice issue, the Kiwi’s do get the 64GB edition several stores have it available to order. So, do you feel special now, of just used by both the handset sales people and your telecom provider? More important, what other issues did that secret war of smart phones not inform you about? Perhaps you haven’t seen the implications of not having a choice in certain cases. People have been so busy bashing iPhone’s Apple that they forget that Android phones have their own collection of imposed limitations for the consumer. The business section of the Guardian had an interesting article yesterday. It comes from David Pegg and it is about targeting customers. In the article we see a prominent picture of Robert Redford (at http://www.theguardian.com/business/2015/jul/15/sky-broadband-customers-targeted-allegedly-pirating-robert-redford-film). So what is at play here? Here we see ‘US firm TCYK, apparently named after film The Company You Keep, made Sky hand over details of customers accused of downloading movie‘, which comes with the opening quote “Dozens of UK broadband customers have received letters from a US firm accusing them of pirating a little-known Robert Redford film and inviting them to pay a financial settlement on pain of further legal action“. You see TCYK got a court order against Sky Broadband, which must now hand over customer details of those TCYK accuses of using torrent sites to download and distribute the films. These people now get the offer of paying a hefty fine or end up in a legal battle. So, how does that work in Australia? Well, here we depend on the Copyright Act 1968, where we see in section 36(1) “Subject to this Act, the copyright in a literary, dramatic, musical or artistic work is infringed by a person who, not being the owner of the copyright, and without the licence of the owner of the copyright, does in Australia, or authorizes the doing in Australia of, any act comprised in the copyright“, which means you made the movie, you are licensed to handle the movie, or you own the copyright, if you are none of these three, you become the infringer. Now we get to the nitty gritty of the act (sections 43A and 43B) when we consider ‘temporary reproductions‘, which starts of nicely in section 43A(1) with “The copyright in a work, or an adaptation of a work, is not infringed by making a temporary reproduction of the work or adaptation as part of the technical process of making or receiving a communication“, with the crown part ‘temporary reproduction of the work or adaptation as part of the technical process’, which takes Sky Broadband out of the loop in all this, because Sky just sends packages from point A to Point B and as such, they do not keep any parts of that they communicate, they only keep the logs of what is communicated. In subsection 2 of section 43A we see “Subsection (1) does not apply in relation to the making of a temporary reproduction of a work, or an adaptation of a work, as part of the technical process of making a communication if the making of the communication is an infringement of copyright“, which might put Sky in the hotspot, yet Sky is at this point an innocent disseminator of information (you know that anti-censoring part people all love), so Sky must prove that by handing over the records. This now counters the (what I would regard as fake indignation) from Michael Coyle, a solicitor advocate at Lawdit Solicitors, who stated regarding the act of Sky Broadband “They should be fighting tooth and nail not to have this information released”, to which I would state “Yes, because we should always protect the people engaging in illegal acts!” more important is the part that comes next “TCYK says that it hired a “forensic computer analyst” to identify IP addresses of computers that were making the film available online” so it seems that those watching the movie are not high on the list, it is about the distributors, those who made the movie available online. So there are two parts. The first part ‘temporary reproductions’, is a part we are still looking at, yet ‘distribution’, which we will also look at. As Sky is protecting itself by showing themselves to be innocent disseminators, we need to see the logs, part of that is to give evidence that you (or they) are working on a temporary reproduction. OK, let’s take YouTube, when you watch a movie, a trailer, a TV Show, you are looking at a temporary reproduction. The movie is streamed into the memory of your computer and once the link is severed at ANY GIVEN MOMENT, the movie cannot be watched and it cannot be re-watched’ it must be pushed into the memory of your computer again. This is different from Torrent systems where a file, temporary or not is actually saved to your computer. This is the confusing part, whether it is a temporary file (what the people refer to as temporary) is actually ‘just a file’ that file remains on your computer, just like many other ‘temporary’ files. I know, it is still confusing! Let me elaborate, when windows or a windows application needs to handle data, it created a file that changes all the time, we refer to them as temporary files. The UNIX reference is much better, they are called ‘scratch files’. So if you download a PDF, it will create a file, and that file will capture all the packages and add them together. That is done until the file is complete, when the download is completed the file gets written becoming the permanent file. This is the normal way for operating systems to work. The issue is that something is written (read: saved) onto your local destination, when this is done, it is by sheer definition no longer a temporary file. this is the part that is taken care of in Section 43A, now as long as there is no way to make the ‘temporary file’ work via an application of any kind, you can also rely on section 43B of the act where we see in subsection 1 “Subject to subsection (2), the copyright in a work is not infringed by the making of a temporary reproduction of the work if the reproduction is incidentally made as a necessary part of a technical process of using a copy of the work“. This now shows my explanation of temporary reproduction, where we refer to ‘incidentally made as a necessary part of a technical process‘, which could make that part a no go area, was it not for the first part where we saw ‘Subject to subsection (2)’, which is now the issue as this does not apply as per section 43B (2)(a) relying on both (i) which states “if the reproduction is made from an infringing copy of the work“, and the irritating use of the ‘or’ statement for (ii) “a copy of the work where the copy is made in another country and would be an infringing copy of the work if the person who made the copy had done so in Australia“, which takes care of any ‘border’ issues. So, here we are with an infringed work, so what about the words of Michael Coyle? More important, at  we see “It follows that customers, by entry into the CRA, consented to iiNet disclosing and using information, including personal information as defined, for the purpose of iiNet administering and managing the services provided pursuant to the CRA. Part of that administration and management includes compliance with the CRA. In circumstances where iiNet has received evidence of breaches of its CRA (for example, cl 4.2(a) and (e)) the customer has necessarily consented to iiNet using information it possesses, including personal information, to determine whether to take action under cl 14.2 of the CRA“, which all comes from the case Roadshow Films Pty Limited v iiNet Limited  FCAFC 23, which means that Sky Broadband is going through the motions iiNet in Australia went through 4 years ago. This is important, because the customer relationship agreement is a legal scope that the customer agrees to, which allows for disclosure and more important, now looking at the ‘limitation on remedy’ or bluntly put ‘the massive amount of money TCYK will demand of Sky Broadband if they cannot satisfy conditions’ is where we see actions from Sky Broadband to disclose information. In addition we need to see the satisfied part “Any transmission of copyright material in carrying out this activity must be initiated by or at the direction of a person other than the carriage service provider“, that part is given by the logs as the viewer did the ‘click here to watch full movie‘, basically that means that the user initiated the act. In addition, there is “The carriage service provider must not make substantive modifications to copyright material transmitted. This does not apply to modifications made as part of a technical process“, showing that whatever solution was used, Sky broadband passed through the information as part of what it is supposed to do as an ISP. In the end, this will be a messy battle and there is one part that holds less water. It is the statement “Nicolas Chartier, the president of Voltage Pictures, told the Hollywood Reporter this year that he had issued 20,000 lawsuits against individuals accused of pirating the Hurt Locker in order to “make a statement”. “The day after we announced 20,000 lawsuits, the internet downloads of Hurt Locker went down about 40%”“, I am not sure if that will be the end this time, Hollywood has been clasping down in several ways. We see the 10 movies that make a billion, but the hundreds of others that aren’t slicing the cake are not in there, as such Hollywood is now lashing out all over Terra ‘non US’ and we see that it will hit Australia too, even more direct when the TPP becomes fact, at that point having a computer with logs pointing to it with irrefutable evidence might literally cost you your house. There is one side in the TPP that remains undiscussed, especially, as I personally see it behind the closed doors of the TPP negotiations. In all this America relies on fair use, in all this they are eager to criminalise that what is not criminal within the US, it makes for another case. If we accept the following “Some historians prefer ‘slave’ because the term is familiar and shorter and it accurately reflects the inhumanity of slavery, with ‘person’ implying a degree of autonomy that slavery did not allow for“. Now we convert that sentence into “Some politicians prefer ‘user’ because the term is familiar and shorter and it accurately reflects the chargeability of usage, with ‘US consumer’ implying a degree of freedom that users are not allowed to have” This is as I see it exactly the core and the broken foundation of the TPP, there is no fair use and there is no accountability on the other side, by all means the TPP ignores the constitutions of more than one nation. This was raised by Alan Morrison in The Atlantic on June 23rd 2015 (at http://www.theatlantic.com/politics/archive/2015/06/tpp-isds-constitution/396389/). The quote in question is “It is January 2017. The mayor of San Francisco signs a bill that will raise the minimum wage of all workers from $8 to $16 an hour effective July 1st. His lawyers assure him that neither federal nor California minimum wage laws forbid that and that it is fine under the U.S. Constitution. Then, a month later, a Vietnamese company that owns 15 restaurants in San Francisco files a lawsuit saying that the pay increase violates the “investor protection” provisions of the Trans-Pacific Partnership (TPP) agreement recently approved by Congress“, this is a situation that could be a reality. You see, this relates to the case at hand in more than one way. In my view, TCYK has every right to protect its side, the movie it made and the revenue coming from that, so I am not against prosecuting copyright infringement at all. Yet, in all this the shift that TPP will allow for is a situation where ‘investor protection’ will bring a case which will be heard by three private arbitrators; the United States government is the sole defendant in that given scenario. More important, it will be a case brought by “investor-based expectations”, I think we can clearly see the link when we consider “Village Roadshow’s revenue and profits are below expectations, which was down 1.9% to $469.5 million for the six months to December. Net profit was lower by 26.2% to $13.34 million“, so in this case Village Roadshow blamed the weather, yet Village roadshow has blamed piracy on many occasions, so the moment we see a court case based on ‘investor-based expectations’, we should all become weary of this becoming an option the regain revenue from a mismanaged product (which is far-fetched but not out of the question). It might be a movie piracy case in the UK, but the result will hit Australia sooner rather than later and vice versa. Infringement is a growing ‘market’ and as such, especially in dire times, the industry at large wants to recoup parts of their losses due to infringement, yet will it truly hunt down the real perpetrators? Too many people rely on their ignorance and ‘they did not know’. This defence is now slowly but surely coming to an end, it is more and more an accepted rule that if you did not buy the article, or pay for it, how come you watched it? The TPP will change EVERYTHING! This closed door agreement is all about ‘indulging’ big business whilst big business is not playing the game fairly to begin with. In its core it can be seen as a discriminatory violation of ‘fair use’ and ‘constitutional values’. In all this I jumped at Village Roadshow more than once. Personally I think that Graham Burke has been playing a lose rant game too often, whilst trying not to step on the toes of Telstra and Optus, but that might just be me! In addition, I have additional issues with Federal Attorney-General George Brandis regarding past events. This all links to an article last April in the Sydney Morning Herald (at http://www.smh.com.au/business/village-roadshow-wants-to-work-with-isps-instead-of-suing-movie-pirates-20150416-1mj8cd.html), where we see the quotes “The document centres on a “three strikes” system. An illegal downloader will get three warning notices before a Telco will help copyright holders identify them for potential legal action“, which sounds fine, yet in that part, if at any time the IP address was hijacked, there will not be any evidence absolving the accused person, so the one in court could be the victim in all this. In my view, this is a warped solution to the court case Village Roadshow lost against iiNet, meaning that other avenues need to be taken, which now reflects back to the UK case of Sky Broadband, which could hit Australian legislation. The next quote is “Federal Attorney-General George Brandis and Communications Minister Malcolm Turnbull set a 120-day deadline last December for internet service providers and entertainment companies to create a binding code“, which is indeed central but not in the way reported on. You see, Telstra and Optus are all about bandwidth, the more you use, the better the invoice from their point of view. This is part of the move we see all over the internet in the last article I wrote regarding the short-sightedness of Graham Burke, in the article ‘The real issue is here!‘ (at https://lawlordtobe.com/2014/06/17/the-real-issue-here/), which also reflected on the article ‘FACT on Piracy?‘ (at https://lawlordtobe.com/2014/01/03/fact-on-piracy/) from January 3rd 2014. These articles connect through ISP’s like Telstra and Optus who have been rescaling their bandwidth plans. The consequence of losing out on 4 billion a year. Now Telstra offers 50GB for $75 a month, smaller plans no longer exist, they have been pushing for new broadband boundaries so that their revenue is less impacted, so the impact of $40 and $80 a month is now decreased to an optional loss of $20 and $40 a month. It was (as I personally saw it) always about time and retrenching. It has been forever about big business! By the way, it is not just Telstra, others like iiNet have done the same thing, offering a new margin, reset to the width that has never been offered before. It is about rescaling the broadband plans, which results in resetting expectations and preparing for new data usage adherence. You keep what you kill fits perfectly, it comes from the Riddick movies, which is basically the credo of a survivor, in this day and I agree, in this economy it is about lasting the longest and as such, they keep what they kill, which are the copyright infringers and their technologies. I do not oppose it, as I feel that owners of copyright are entitled to protect their assets. Yet, when we read Graham Burke we see “He said Australian film producers were trying to educate the public rather than sue them“, which might seem true enough, but behind that, I suspect, is the fear that if the Australian Copyright Act 1968 adds the ‘Fair Use’ principle, his education boat will sink on the spot, moreover, whatever US pressure we get from the TPP, gets drowned by Fair Use, because if it is good enough for Americans, it should be good enough for non-Americans too. Last in all this is Matthew Deaner, executive director of Screen Producers Australia, who made a fair statement in the SMH article “They’re trying to say, ‘this is the right way to go about this stuff, this has a consequence to us’,” Mr Deaner said“, which we can get behind, yet the colourful rants by both Graham Burke and Sony executives on the utter non-realistic loss of billions is a consequence as well. By not properly and realistically setting the view, whilst, as I personally saw it, Sony executives were hiding behind excuses regarding missed targets that were never realistic to begin, which soured the milk of reality and reasonability. Roadshow Films Pty Ltd v iiNet Ltd  HCA 16 was settled in the High Court of Australia, yet the essential changes to copyright, the impact of the Trans Pacific Partnership (once signed) will also impact the future. The lack of a ‘fair use’ clause is as I see it an essential first step to protect those not engaged in active copyright infringement as well as allowing for innocuous acts not to be struck down in favour of big business in a draconian way. In all this, US corporations have relied on unfair advantages, whilst overcharging people all over the non-US in a massive way is just beyond belief. Even now, example, ‘Ex Machina’ is in the US $17, in the UK $20 (both Amazon), which is already a 20% offset, a title which cannot be bought in Australia. The US has segmented commerce to maximise profits, whilst not giving fair options to consumers. The fact that they still enforce multiple region codes to limit fair consumer rights is also not addressed. This is in part what drives piracy. If Mr Burke is so about educating, how about Mr Burke educating the other side of the equation? With video games where price difference can go up to 100% in difference between the US and Australia, a consumer grievance that Federal Attorney-General George Brandis never bothered to properly address. When we consider the issue of price fixing we see “Price fixing occurs when competitors agree on pricing rather than competing against each other. In relation to price fixing, the Competition and Consumer Act refers to the ‘fixing, controlling or maintaining’ of prices“, in this we see a loaded gun of different proportions. You see, Agreements between related companies are also exempt from price fixing, yet, when this difference is set at 100%, whilst the firms place technological restrictions (region codes) on products, as well as denying fair competition, largely pushed by American corporations, where is the fairness in any trade agreement? If a trade agreement is about removing trade barrier, in that regard, the region codes should be regarded as detrimental to trade, but the TPP is not about equality, it is about giving the power to big business and limiting the rights of consumers, which is why partially because of created limitations movies and videogames are not equally and honestly made available. So as we look at what some can buy more expensive and others cannot buy at all, Mr Burke should in part refrain from stating that ‘one leg is education’ the other is regarding ‘products being available at the same time as other countries’, it would make him instantly paraplegic. Unfairness is what drives infringement. This was shown in the 80’s in Europe in a very direct way as games, movies and music were so unbalanced that a $450 ferry ride to London (from Rotterdam) could pay itself back during one VHS shopping spree (not to mention the price difference in games). That same principle applies here, so if this is truly about stopping infringement than the first step would have been consumer equality. Yet this is about the US maximising its profits, counteracting whatever ‘free’ trade is supposed to do, so copyright infringement is not going away any day soon, it will soon create new situations, all because those involved seem to be about abolishing what constitutes a fair user, which is why the TPP should never come into effect. The question is, who gets killed in the end, because as more true illumination is given, the bigger the question mark we see on what propels infringement. If there is one real upside to all this, it will be evolution, it will not take long for someone to change the premise of the game and design a new peer to peer cloud solution that resets the legal playing field. Strife has always been the number one innovator in both war and technology, that part has not and will not change. The Guardian ended up with an interesting article on Friday. The title ‘Malware is not only about viruses – companies preinstall it all the time‘ (at http://www.theguardian.com/technology/2015/may/22/malware-viruses-companies-preinstall), it is a good article and Richard Stallman is a great man, but there are parts in this article that I have an issue with. Mind you, the man is not telling stories or lying, but he is showing one side of the coin. He is also reinforcing other sides to the software industry that are a definite issue. The first part is a part I am completely in agreement with “In 1983, the software field had become dominated by proprietary (i.e. non-free) programs, and users were forbidden to change or redistribute them“, a side which I do not oppose. In addition there is “But proprietary developers in the 1980s still had some ethical standards: they sincerely tried to make programs serve their users, even while denying users control over how they would be served“, I have a partial issue with the last bit ‘denying users control over how they would be served‘. I disagree for two reasons. The first is based on resources. In those days, an IBM PC was a massive behemoth, it had 256Kb memory and if you were really really rich, you also had a 10Mb hard drive. So, yes, the expensive personal computer had less resources then the cheapest $39 Non-smart Nokia phone. Go figure! By the way, that 10Mb hard drive was priced at $1499 in those days. So, user control was an issue, because resources did not allow for them, but soon thereafter, the 512Kb PC was released and there was so much we could do then! No sarcasm here, it was true! In those days I learned and mastered Lotus Symphony an excellent program! This was also a time when we started to get some choices in control, control remained limited, but some control was gained. Next we see the first part that is an issue, even though he makes a nice point on End User License Agreements. I would like to add the Terms of service as a clear point here, but overall there is a part that is too coloured. The quote “So many cases of proprietary malware have been reported, that we must consider any proprietary program suspect and dangerous. In the 21st century, proprietary software is computing for suckers“. I cannot completely disagree that Microsoft soured the market by a lot, it has done so in several directions, yet Corporate Earth is at times too stupid to consider growing a brain, which is also part of the problem. It is an element that is shown all over the place. The Netherlands, Sweden, UK, France, Germany, Denmark and even Australia (I worked in all those countries). Instead of sitting down and considering a switch to LINUX with open office, the IT and other elements are just too lazy and too under resourced to push for a change, so the users are no longer people, they are for the most mere meek sheep following the ‘corporate standard‘, which means that they too use windows and Office. Another direction is the hardware world. Windows comes preinstalled, more important, Windows and Microsoft have been a driving force, forcing people to buy stronger and more expensive computers. Even though many users have not needed any need for more powerful and stronger hardware, Windows forced them to upgrade again and again. Anyone not into gaming and using their computer merely for office activities and browsing mail on the internet should not have needed to upgrade their computer for the better part of 10 years, but that is not the reality, go to any computer shop for windows hardware and we see how the ‘old’ ASUS, ACER, Lenovo, HP or Toshiba no longer hacks it. Which is actually weird, because if you reinstall your old laptop with LINUX and Apache Open Office there is a high chance that you will work in 90% of the time just as fast as with that new $2000 laptop on Windows 7. Setback? You have to install and configure it yourself. Upside? LINUX and Open Office are both free software, no costs and no fees! Is it not interesting how companies are not jumping on that free horse? Why is that you think? In addition, with all the needs for government costs to go down, why are they not more pro-active to push for a shift towards LINUX? Is it security? This is also odd, because with the massive amount of non-stop security patches, Windows is not that secure to begin with. So where do I disagree? Well the first clear quote is “Some are designed to shackle users, such as Digital Rights Management (DRM)“, I believe that if a firm makes software, it has every right to prevent illegal use, for a long time, how many people do you know that have a LEGAL version of Adobe? Even when the stars are in your favour. In many Universities, Adobe offers the entire master collection (all their software) for $400, which is an amazing deal! I got my legal versions of both Windows 7 and Microsoft Office Ultimate for an additional $199. Why not buy it? No many just find a download place and get the software for free, in addition you can get the codes. It goes even further that I stumbled on a place in Germany some years ago where they were offering the OEM stickers for PC complete with license key for 20 Mark. I could not tell the difference from the original sticker in the software box I had bought. Do you think that DRM would have been such a push if people just bought their software? I will take it one step further, I feel certain that if every person was charged $275 a year, we all would have the complete Adobe, Windows and Office programs free to download, with no need to illegally copy anything. But there is still that other side. You see, I still believe that Microsoft and hardware providers have been forcing a technological armistice race upon the consumers, which now adds up to us all wasting resources on iterative junk we should not need. So even though I do not completely agree with Richard Stallman here, he does have a point. Now we get to an issue that I actually faced without knowing it “Even Android contains malware in a non-free component: a back door for remote forcible installation or deinstallation of any app“, you see, I thought I was bonkers (which I actually are) but for some reason one of my apps had suddenly be removed and not by me. It was not something I needed. I had just downloaded it from Google play out of curiosity, but suddenly it was gone! In addition, on more than one occasion it just decided to update my apps, without my permission. When you have bandwidth issues, seeing a force upgrade which could cost you is not that nice a moment. Yet, for the most, I remain a loyal fan towards Android, even though at times programs use background resources for reasons unknown, or are they unknown? We get the next part from the quote “Even humble flashlight apps for phones were found to be reporting data to companies. A recent study found that QR code scanner apps also snoop“, there is a lot more at http://www.facstaff.bucknell.edu/ejsmith/scan.this.or.scan.me.2015.pdf; now we have ourselves a massive issue, although the paper shows that there is a prompt for GPS and the sending of GPS, none of them has the situation where they do not prompt for GPS and still send it. Eric Smith and Dr Nina A. Kollars who wrote the paper give us another consideration on page 8. There we see “Moreover, contemporary privacy norms are increasingly threatened as what initially appears to be signals of consumer preference slide further into determining bigger-picture life patterns and behavior. The term most commonly used to address this creeping phenomenon is the literature on consumer panopticism“, which now refers to ‘Gandy, Oscar H. The Panoptic Sort: A Political Economy of Personal Information‘. Before getting the book (which is worth the purchase), you might want to take a look at a paper by Adam Arvidsson, from the Department of Film and Media Studies, University of Copenhagen, Denmark (at http://www.surveillance-and-society.org/articles1(4)/prehistory.pdf), you see, my partial issue with the article by Richard Stallman becomes slowly visible now. He is right in his view and his vision as he sees this, but you the user did this to yourself! You think that Facebook is ‘free’, that these apps are there merely for amusement (some actually are), their goal is income! Some work the Freemium game market, where games like ‘Book of Heroes‘ gives you a free game, but if you want to grow faster and better in the game, you will have to invest. For the most, these games will rely on the investment from $10-$25 to truly open up, which is, if you consider the amount of hours played still great value. Freemium games also come with that ‘try before you buy’ approach, as you can play the game, but to enjoy it, to get more moves and more joy a few dollars will be essential. The other part that relies on ‘captured data’ did they inform you? If not, there is an issue, but the app programmer will get his pound of flesh, either by cash of by data! Yet the other side is also true, you see, as Richard mentions and as Adam Arvidsson report on, there are places like Red Sheriff, that rely on hidden script, which is more advanced/intrusive as it keeps track of ALL your online movements. You get this script as a ‘present’ when you visit one of its affiliated sites. Did you the internet user sign up for that? When we see the reference on who pushes this. We see “since most major commercial sites use Redsheriff“, which means that nearly all will somehow be tracked. I for one do not really care that much, but I never signed up for any of it, so should we see this as an invasion to our privacy? This is where we see that freeware is almost never free. Yet Richard also alerts us to another state of freedom, or lack thereof! In the quote “If the car itself does not report everywhere you drive, an insurance company may charge you extra to go without a separate tracker“. Can anyone explain to me why it is ANY business of the insurer where we are? “Individually, by rejecting proprietary software and web services that snoop or track“, here I do not completely agree! I used Adobe as an example for a reason, there is simply no viable alternative, it only became worse when Macromedia bought Adobe (I know it is the other way round, but I will remain a faithful Macromedia fan until the day I die! ), there is in addition, no tracking done by Adobe, other than keeping track whether you have a valid license, which I never opposed. “Collectively, by organising to develop free/libre replacement systems and web services that don’t track who uses them“, which I whole heartedly agree with, I am even willing to devote time to this worthy cause (not sure how I could ever size up to the hundreds of Richard Stallman’s, but I am willing to give it a go! And last there is “Democratically, by legislation to criminalise various sorts of malware practices. This presupposes democracy, and democracy requires defeating treaties such as the TPP and TTIP that give companies the power to suppress democracy“, this is the big one. The political branches all over Europe and the Commonwealth have sold us short and have not done anything to properly enforce the rights to privacy. In addition, Google and Apple remains in a state of non-clarity on what data these apps capture and what they convey. In that regard Facebook is equally guilty. Facebook goes further that it does not even proper police those who claim to give a free app, only to no longer work, but when you went to the install the data is as I see it already captured by the app provider, which gives wonder to where that data went. In regards to suppressing democracy, which is perhaps partially overstated, there is an issue with the TPP that seems to empower large corporations and nullify the protection to smaller innovators and even governments as the TTP wants to enforce “where foreign firms can ‘sue’ states and obtain taxpayer compensation for ‘expected future profits’”, how long until we get an invoice for overinflated ego’s? Especially from those people in the entertainment industry claiming the loss of so many billions in an era when the bulk of the population can hardly pay their rent! I regard Graham Burke of Village Roadshow to be one of the greater jokes this era has brought forth. Consider who he is supposed to ‘protect’, he goes on regarding “‘crazies’ whose hidden agenda is the ‘theft of movies’“, which is not that far-fetched a statement, because movies will be downloaded and not bought, it happens, yet not to the degree Graham Burke claims it is! So we get him soon enough to claim billions from losses due to the massive download of ‘the LEGO movie’ perhaps? Yet in the public forum on copyright infringement, we did not hear him utter a word on bandwidth, perhaps the response from Telstra’s Jane Van Beelen would likely have been a little too uncomfortable Mr Burke? You see, in my view it is less about the democracy as Richard Stallman sees it. The legal protection seems to be massively delayed as bandwidth is income, and when piracy is truly stopped bandwidth will simmer down. If we accept the word of Village Roadshow with global revenue of 13 billion since 1997. Yet, I wrote about movie piracy in ‘The real issue here!‘ on June 17th 2014 (at https://lawlordtobe.com/2014/06/17/the-real-issue-here/), in the calculation, which I kept very conservative, Telstra could lose up to 320 million a month in revenue, due to diminished bandwidth, which gets us 4 billion a year. Consider that Village Roadshow is global, which means that Australian revenue is a mere fraction of that, how soon until they see that Village roadshow might only get 5-10 million a year more, against the 320 million a month loss for Telstra? So Mr. Burke is not regarded as a serious party as I see it (yet he is not an invalid party), Telstra would have too much to lose, not to mention the loss Optus and iiNet could face. However, if the TPP changes that with ‘expected future profits’, whilst there is absolutely no quality data to prove that the loss is nothing more than there ego’s talking. There is the crunch that politicians are too afraid to touch! Yet, in light of many factors, legal protection (including protection for Village Roadshow) is essential, yet the large corporations seem to hold the game to the need of their bottom dollar, which is the dollar, not democracy or decent rights. If it were decent rights than telecom companies would properly monitor abuse of digital rights, because the movie is for Village Roadshow to sell, or to stream for a fee via Netflix. I do not deny this at all, I just oppose the outlandish income some of them claim that they ‘lost’! So on the dark side of the moon we see that (actually we do not see any of that) things are not right. I do not completely adhere to the idealist view that Richard Stallman validly has (we are all entitled to our views), but he touches on several parts that definitely need change and until we see a governmental push away from Microsoft solutions, we will see that the government will spend loads of money on never-ending updates to hardware and software. We all agree that such a change is not easily made, but in light of the cost of living, the fact that nearly no one makes that change is equally worrisome. When we stare up to the sky we always see the same side of the moon, the dark side is wild, and is covered with impact craters, impacts we never see. It is a lot more reminiscent of the chaotic wild life of malware, a side that is constantly lacking the exposure it should have, mainly because it affects the bottom dollar.